I, Alda Gomez of House of Movement, collect, store and process personal information about you to enable me to run my tai chi and qigong classes successfully. This information can include contact information, as well as information about your health (mental and physical) and other special category data. I need this information in order to inform you of any cancellations in the running of my classes. I am able to collect this information upon the legal basis of “Legitimate Interests”, as per GDPR regulations. In the form where I collect this information, you can tick a box to receive my monthly newsletter “The Lighthouse”. If you have ticked this box, you will receive an email from me every month with the newsletter, and maybe additional emails regarding the general running of my classes (not more than 3 a year). You can unsubscribe from this mailing list at any time. Your information is stored in my files and will not be shared with any third party. Occasionally, I may use your data to compile statistics about common illnesses experienced by my students, but the results will only be shared anonymously. Every three years, I will delete any contact information regarding students who do not come to class anymore or are not part of my mailing list. With regards to how this information is used, you have the right to have information about you deleted, have inaccuracies corrected, the right to access information about you – free of charge – within 1 month, the right not to receive any unsolicited marketing, the right to determine how information about you is processed and the right to complain if you are unhappy about any of the above by contacting the Information Commissioners Office here: https://ico.org.uk/concerns/, although I trust that you will try to discuss this with me in the first instance. Should anything happen to me that prevents me from attending my classes and from communicating with you directly – such as illness or death – then my husband, Nick Taylor, also a tai chi instructor, would be able to access your contact details to inform you should this situation arise. Categories: FAQ, News | Permalink. The legend tells that a wise Tai Chi Master from China arrived to the city of Manchester (United Kingdom) in April of Christian year 2017. His sweet wife Lili Lu and another Master called Kuang and his young apprentice arrived with him. The wise Grandmaster was not other than Grandmaster Chen Zhenglei, a high authority in tai chi in those days. To emphasize the power of new technologies, the Master organising the visit, Liming Yue, chose a small space for this visit so that the event could be shown to the world by 9 cameras. They were meant to broadcast the wise Master’s skill. Only 40 people had direct access to such significant event. Different countries were represented by disciples and indoor students of the wise Master, anxiously waiting for his words and his lifelong knowledge. His greatness was soon appreciated, because a Grandmaster is a Grandmaster everywhere he goes and in any conditions presented. Their only requirement is being in front of empty souls looking forward to being filled with their insights. The wise Master Chen only spoke Chinese, and Master Liming interpreted his words…into English, which was the only language used in the translation, even though this language equals the Spanish one in the world. But tai chi is a very curious thing that can be learnt by osmosis and it becomes magic for those making efforts to understand its universal language, which goes beyond words. The 70-year-old wise Master transmitted more with his gestures and his movements than with any of the words in the world, having his words already been registered in many books and videos. These books and videos can only be fully assimilated when you see the wise Master moving in front of you in flesh and blood. The legend tells that two Spaniards were among the attendants to the event: Master Mariano Uceda and his disciple Monse. Both barely understood the English language. But they decided to appeal to the tai chi magic, connect to their enlightened ancestors, who also connected to the enlightened ancestors of tai chi masters, and that is how they received the teachings that they were ready for at that time. The legend continues saying that the wise Master saw that the transmission of his teachings had been accomplished, even to those two conscientious Spaniards who admired the wise Master good skill. He rewarded them with his warmth and his smile, grateful that his teachings wouldn’t end up floating in the universe waiting for more prepared minds to receive them. Being in front of a wise Master to be corrected and guided in your tai chi is the biggest thing that one can experience as a tai chi practitioner. Lucky are those who have found a Master who guides them with honesty and affection. Only those of us who have a Master like that can tell how valuable that is because you know that you are in the right track even when you may not know the destination. The legend tells that in those days many got lost because they couldn’t recognise this simple fact. This is so because the right way is not sumptuous or glamorous; it is only illuminated by Masters as wise as Master Chen. But it has a shorter length than the Master’s because they started later; it only takes knowing how to read the universe to see them and feel the potential they hold inside. The transmission of tai chi worldwide, no matter where you are, will never then be lost. P.S. : If a Master recognizes that in certain occasions the qi circulation varies between men and women and that is a topic that could be spoken about for a while, then he must be elevated among the rest of human beings. Maybe a new era of a more balanced yin-yang has truly started. Categories: News, Tai Chi Workshops | Permalink. Devon Tai Chi Centre has a new website with all the classes taught by Alda Gomez of House of Movement and Nick Taylor of Devon Tai Chi Centre. You will also find a lot of information about tai chi and useful videos and interesting links. Click on the links that interest you to find more information about the classes. Laugh lots, live longer, do tai chi! 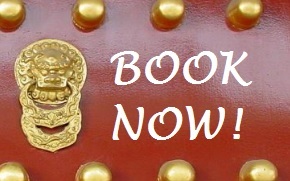 Categories: News, Qi Gong Workshops, Tai Chi Workshops | Tags: qigong classes, tai chi classes | Permalink. 1) Do more standing and get strong legs: Grandmaster Liming encouraged us to do more standing to get stronger legs and being able to feel the energy flowing through our meridians and channels. After a lot of detailed postural work on Saturday, he explained the different hand positions for standing corresponding to the three main Dantians in the body. 2) Relax as much as you can: Another point emphasized during the weekend was relaxing. In order to get strong legs and a correct posture, our bodies need to relax more and more. GM Liming showed different tips to improve our posture while gently encouraging us to relax all the time. 3) Laughter is the best medicine: From the moment he arrived til he left, the whole group shared many laughs. We laughed over food, we laughed over simple explanations and jokes during our training, we laughed while we had our last cup of tea before going to bed. It was a laughter-full weekend. GM Liming showed us that being childlike brings health and laughter to our lives. By laughing more, standing more and relaxing more, we can improve our tai chi skill. What a wonderful weekend, full of fantastic learning opportunities for all levels. It was also lovely to catch up with other instructors from Tai Chi Nation, Exeter School of Tai Chi Chuan, and other schools all over the country. I can’t wait for next year to experience more of it. Categories: News, Tai Chi Practice, Tai Chi Workshops | Permalink. I learnt one important lesson in my journey. Staying or leaving is not going to solve anything. But searching for the root of the unhappiness will. I found happiness in Ireland, and it has been with me ever since. On different occasions, staying or leaving has been the question I had to ask myself. “Should I stay or should I go?” like in The Clash song. I am going to share the song here and some thoughts I have about this important question. When I was 20, my heart made me stay in France for 3 years, while many of my foreign friends left after one year. It was an enriching experience that allow me to be integrated in a different culture and become a little bit French. I welcomed my French self, and by doing so, I became more loving and caring towards my soul. Going beyond one’s nationality has sometimes that potential of bringing you closer to who you truly are inside. My heart brought me then to Portugal where I had a decent job for a few months, but I got bored so I left it all and move to Ireland. After nearly three years there, I had a stable job at a bank. My position forced me to do things that went against my values and I was constantly suffering in that environment. My soul could not breathe. Once again, my heart asked me to leave my job and left my financial security in order to be at ease. I left with nothing. Five weeks later, I started to work as a freelance translator for a company that would sustain me for many years after that. Because I could work remotely and my private life was in chaos, I decided to move back to Spain. Life was good. My finances could not be better. I was saving to buy a house, and I knew I could afford it. I was dressed in the latest fashion. I was travelling around and having fun. I was apparently successful and happy, but deep down, I was miserable. Once again, the question came. The Irish man in my life at that time wished to go back to Ireland, so I followed him. One day, I decided that it was time to stay put and not go anywhere. It was time to embark on an inner journey and eliminate the root of my distress. It was time to make the changes that would make me happy no matter where. Staying or leaving was no longer important. Solving my life became my priority. So many countries. So many faces. So many lives. One important lesson learnt. Staying or leaving is not going to solve anything. But searching for the root of the unhappiness will. I found happiness in Ireland, and it has been with me ever since. Categories: News, Spirituality | Permalink. A few days ago, I was walking by the seaside in Teignmouth after finishing a very good read: The Hearts’ Code, and my mind wandered towards the realms of the body and mind, heart and mind dichotomies. Although my brain has always been an important part of my life, I have also made very good decisions based on my heart. In The Hearts’ Code, Dr. Paul Pearsall literally leads us into a world of new discoveries. He explains the new research on the cellular memories installed in the heart, and the relationship between heart and mind. The book highlights the importance of listening to one’s heart. The heart stores important memories, including ancient collective memories that could be essential for our survival. The author tells us that he found healing by listening to his heart. But he is not naïve. He knows that the heart needs to “think” in combination with the mind. The mind can distort our reality, but it can also help us make sense of it. Both need to go hand in hand in the process of healing, discovering and asserting ourselves, expressing who we are. I have seen many people following their infatuations and shallow desires and calling it “following my heart”. So it is satisfying to read a book that focuses on the heart from a scientific perspective without getting into the “happy-go-lucky” of some heart-oriented lovers. The book is an interesting read for a spring or a summer holiday. It will help you connect to your heart, at least while you’re reading the book. I wonder where the “gut” instinct fits in all the interesting research presented by the author though. I have come across authors who separate mind and gut instead of mind and heart. Whatever the dichotomy chosen, it is clear to me, and increasingly clear to the scientific world that body and mind are intrinsically connected. There is not one without the other. When you look after your body, you are also looking after your mind and vice versa. Venue: Ipplepen Village Hall, Ipplepen. Venue: Chapel House Studios, Station Road, Totnes. Feel free to forward this email if you know anyone who might be interested living in those areas. If you wish to have extra practice, my times no longer suit you, or know anyone in those areas, please feel free to forward this information. Nick is an experienced instructor with over 12 years experience. Here I am, based in Devon, living in beautiful Teignmouth and looking forward to start teaching in this amazing region. At the moment, I am actively promoting my qi gong classes in Exeter city centre starting next Monday at 12pm. Tomorrow, my classes will kick off as I’m starting to teach qi gong in Totnes at 11.30am. The list is practically full, and my excitement is growing as the day goes by. I will also teach tai chi in Totnes at 12.30pm. If you haven’t booked your place in one of my courses, please do so, as there are no many spaces left. My other tai chi courses will start next week: in Teignmouth and Dawlish. These courses will be very similar. Because Teignmouth and Dawlish are very close, I am offering free tai chi classes to anyone who wishes to train more than once a week. That means that if you join the paid Dawlish course for Tuesdays at 6pm, you can go to Teignmouth for free tai chi classes on Thursdays at 6pm. 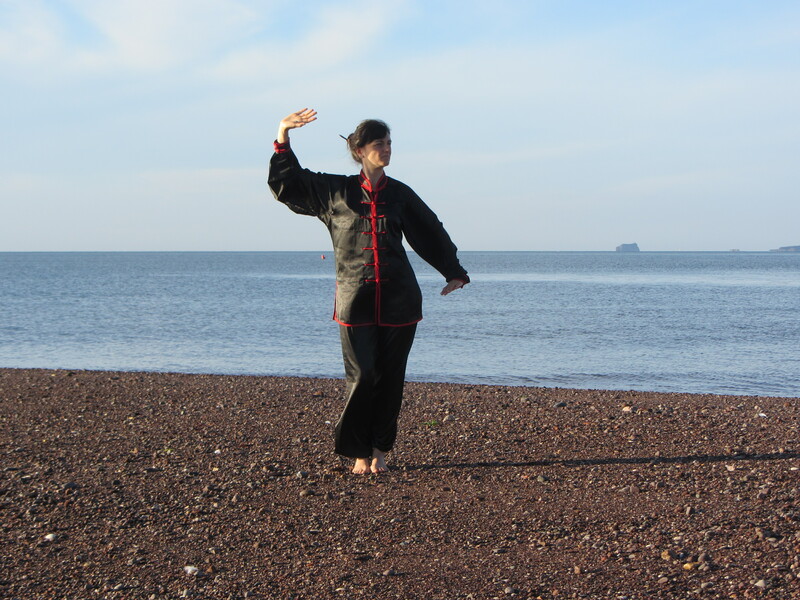 Or if you join the paid Teignmouth course, you can go to Dawlish for free tai chi classes on Tuesdays at 6pm. If you only want to do tai chi once a week, that is perfectly okay too. Having free classes to complement your paid classes can be useful if you are not too good at practicing at home and would like to make tai chi an important part of your healthy lifestyle. Some of the exercises that you will learn in my tai chi and qi gong classes, you will be able to incorporate in your daily lives, as you learn about body awareness and mindfulness. But if you wish to improve your movements, posture, or simply move more regularly, do come along to two days a week. The price will be the same. So no excuses now. Time for tai chi classes. Time for qi gong classes. Time to come along and start moving. Remember that every movement counts. Call 07437 332032 and book your course. Categories: News, Tai Chi Practice | Tags: free tai chi classes, qi gong classes, qi gong Devon, tai chi classes | Permalink. When I started to teach tai chi and qi gong, I wanted to share my passion for these ancient health systems. When I chose my “business name” I wanted to find something that would define my dream. I chose house of movement because my dream was to create a community of like-minded people (around a house/studio) who would share a passion for movement. When I talk about movement, I mean external / physical movement, but also internal /psychological movement and spiritual movement. With the practice of tai chi and qi gong, you start a journey with physical, psychological and spiritual dimensions. My own journey brought me to leave my previous career as a translator and interpreter and start a new path into accompanying others into their own journeys, through teaching tai chi and qi gong and as a counsellor and psychotherapist. Now, my journey is bringing me to the UK, where I will teach tai chi in Devon. I will bring my dream with me, hoping that I will be able to build on the successes that my students and I have enjoyed in Dublin, with lots of enthusiastic faces in my classes. I hope that one day I will be able to create a real house of movement with my tai chi friends in Devon. I will be affiliated to Master Nick Taylor of the Devon Tai Chi Centre. Master Taylor, disciple of Grandmaster Liming Yue, has been teaching tai chi in Devon for over 12 years. Click his website link if you’re interested in going to a drop-in class in Torbay, Exmouth, Shaldon and other towns (check schedule in website). From September I will discontinue my regular tai chi and qi gong classes in Dublin, and I will only come to teach workshops every now and then. From September I will be running tai chi courses in different areas of Devon. I am in the process of arranging venues and I will publish more information about my September tai chi courses in Devon soon. I am also planning to continue running qi gong classes, so my tai chi courses in Devon will be complemented by my qi gong and meditation classes. 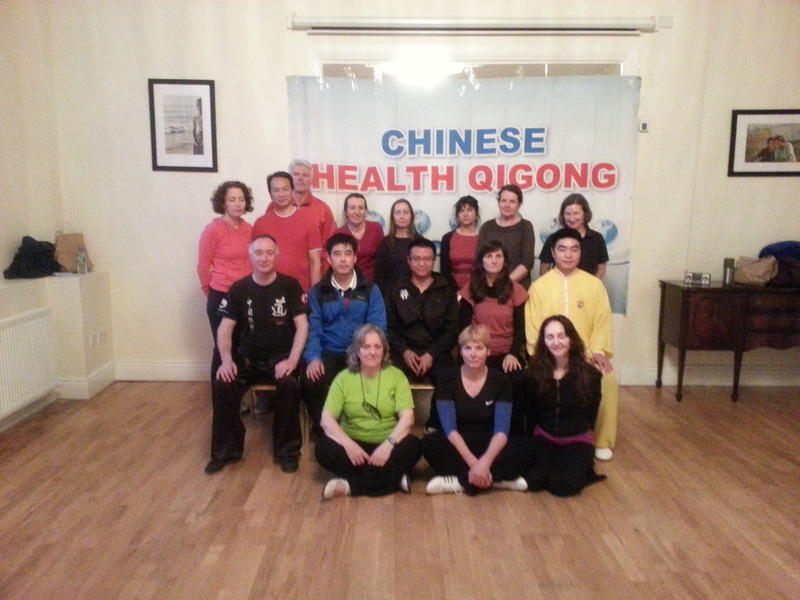 Categories: News | Tags: qi gong Devon, tai chi classes, tai chi Devon | Permalink.